I subscribe to the theory that people don't really change; instead, we just become more like we are. And so I found myself in Akron a few weeks ago, along with my brother, both of us there to help our mother Bee move into the independent living place with the French name just a few miles from her house. The recipe called for clabbered milk, easily made by squeezing some fresh lemon juice into milk and letting it sit until it thickens. You can swap this out with buttermilk (and vice versa). As often happens at family gatherings, there was some drama -- in this case, pastry separation anxiety. One of the cake layers didn't release from the pan properly and things were looking grim. But I simply (and carefully) removed the cake left behind in the pan and placed it on the larger piece (think edible jigsaw puzzle), while my sister-in-law wondered if "cake glue" was available. (It is, but you make it yourself by crumbling some cake and mixing it with frosting. However, you need to plan ahead and bake an extra layer to be used in this truly ingenious cake "spackle" that I learned in a class taught by cake genius Toba Garrett. My mother quite enjoyed her birthday cake. After leaving some for the moving men, I transported the rest by car to her new place. And then returned to finish packing with the realization that, while I'll never live up to the standards set by Mr. Wonderful, I might just beat him in a bake-off. The recipe card, below. And as this is simply a list of instructions, I included the method, which is one likely was used the author of this recipe. For the frosting, I used a version of the Magnolia Bakery buttercream (I did not have my recipe collection with me) and added some unsweetened melted chocolate and brewed coffee for a mocha frosting. Sweet, but good. Combine sugar and butter (in place of lard) and mix until light and fluffy. Combine flour, baking soda, and cocoa in a bowl. Add the flour mixture alternately with the milk to the butter-sugar mixture, beginning and ending with the flour. When it comes to baking and cake repair, you are clearly Ms. Wonderful. Just look at the smile on your mother's face for confirmation! As usual, a lovely post, Susan. Aw, thanks Jennie. And fortunately (or unfortunately), I've had a lot of repair experience. Thanks for writing, esp. on your busy book tour! Bake Off! Yes!! Love this post, Susan. An expanded version could make a great essay about life transitions - the rescue of an imperfect cake as a metaphor for moving on. This cake looks absolutely delicious ! ! ! 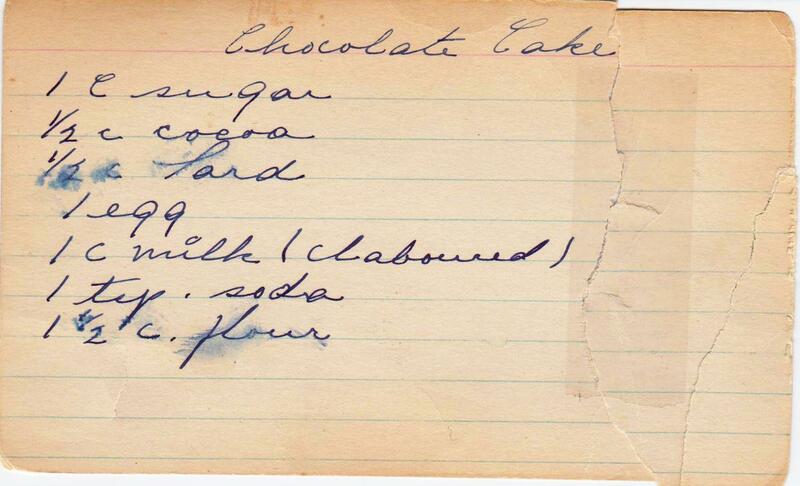 I wonder what this cake will be like with some lard in it... Such a nice family post Susan! The cake sounds a snap to prepare and delicious to eat. Happy bday to your mom! Paula -- I know, the lard. Usually these recipes have Crisco. Maybe next time I'll use some leaf lard! 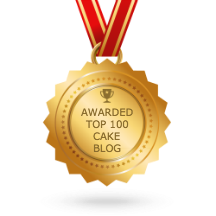 Thanks so much for your nice comments -- one day I'm going to surprise you and show up at your cafe (with a cake, of course)! Gorgeous cake . . . and Mom! Delicious story! Why, thank you Ms. Detarsio. The cake looks lovely! Happy birthday to your mom too. This looks yummy! I love your site--grew up in Hudson, Ohio. Thanks, Linda. Just today I was in a shoe store in Brooklyn with five other customers -- and it turned out all of us were from Ohio and one from Canton! I've heard that Ohio has the largest out-migration of any state and my personal experience of meeting so many Ohioans not in Ohio bears that out. Happy (belated) Birthday to your beautiful mother! Her beaming face & that gorgeous cake say it all! Thank you, quilty! She did enjoy the cake.